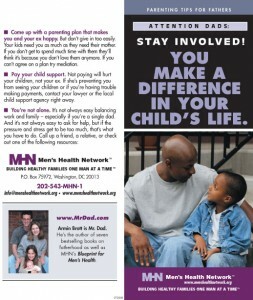 Browse: Home / Attention Dads: Stay Involved! You make a difference in your child's life. Sure, moms are the ones who breastfeed and they probably change more than their fair share of diapers. 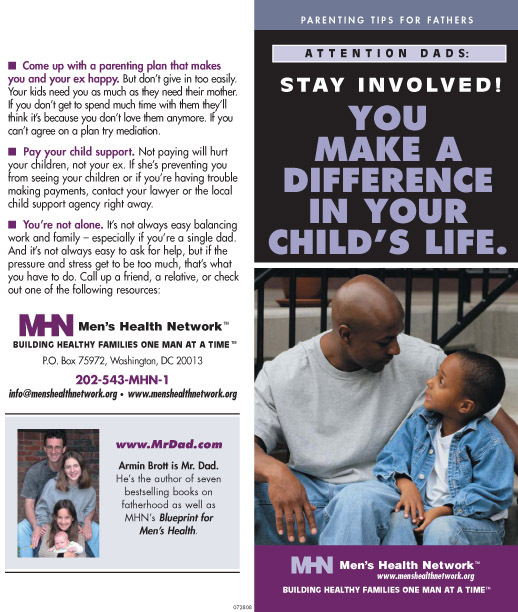 But dads play a unique – and very important – role in their kids’ lives from the very start. Children who grow up with involved fathers do better in school and are much less likely to become teen parents or get involved with drugs, alcohol, or crime. They also manage their emotions better and are less likely to resort to violence.